The band, Dead & Company, consists of some of the surviving core members of the Grateful Dead—Bob Weir, Mickey Hart, and Bill Kreutzmann, along with John Mayer, Oteil Burbridge, and Jeff Chimenti—are out for their 2017 Summer Tour. Playing 20 shows in 15 cities around the U.S. on various dates the tour design requires the addition of side screens. The tour has turned to PBTV to provide these additional video screens. 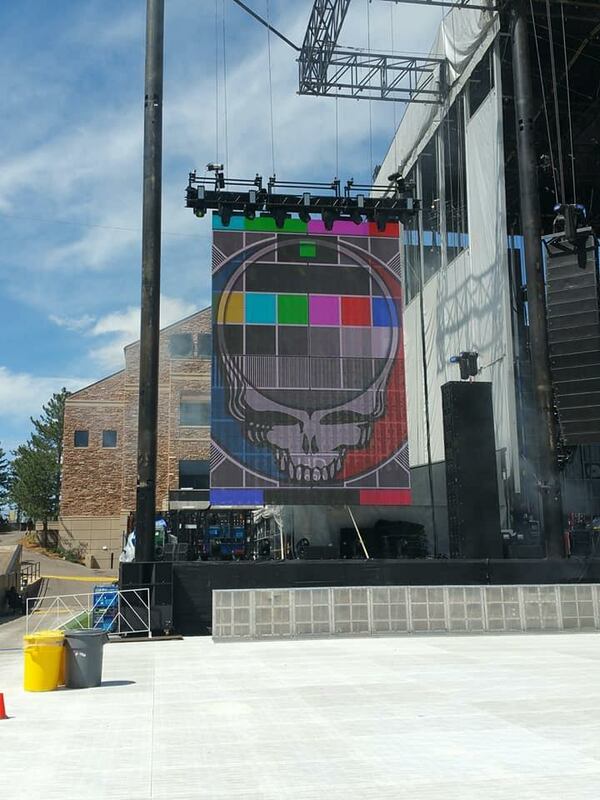 Recently for the two nights of Dead & Company's shows at Boulder, CO’s Folsom Field, PBTV brought in two side screens to serve as I-Mag. PBTV provided the two 30’ high x 20’ wide video screens made up of digiLED Mirage MC7 blow-through screens which were rigged on either side of the stage. With its 12% transparency, the high-resolution digiLED Mirage MC7 screens can deal with higher speed winds over any other high-resolution LED video screen. 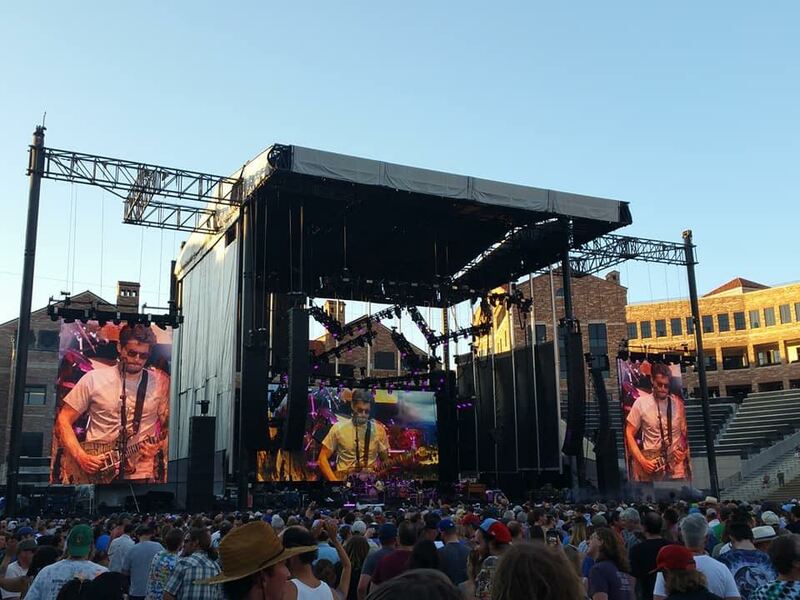 PBTV will again be with Dead & Company providing the I-Mag screens for the band’s show at NYC’s Citi Field on June 24. Brent Jones, who was the PBTV LED Technician on site in Boulder, will again be at the New York City show.